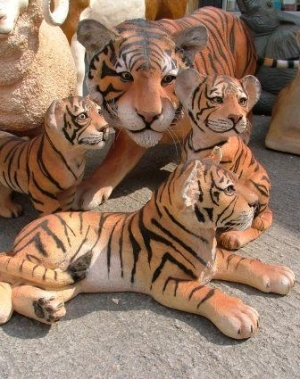 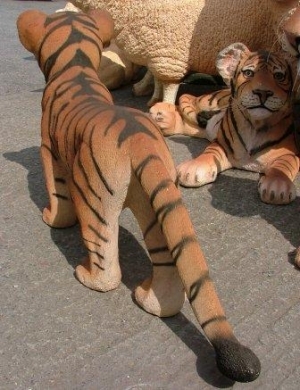 This standing Tiger cub can be purchased on it's own or as part of a group of three Tiger Cubs which go really well in a jungle theme with our prowling Bengal Tiger and the lying down Tiger. 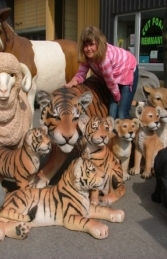 Our three new Tiger cub models are very cute and makes an idea addition to the range of baby jungle and safari animals we offer. 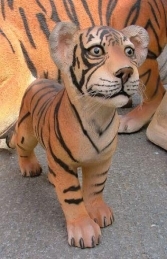 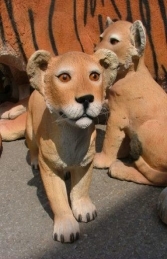 This standing Tiger cub is made of resin and has a textured coat and great character in his face.